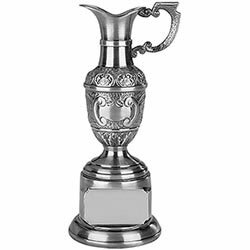 Over the last decade of sourcing the finest golf awards we have come across the most dazzling examples in sterling silver, radiant crystal & mirror finish pewter. We are here to help you select the right awards to give the perfect impression of leadership and organisation. Our beautiful golf medals and golf prizes are set out for you to easily match to your golfing event with flexible options for you to personalise them with engraving on metal, crystal and glass along with full colour printing on medal cases, medals and glass. 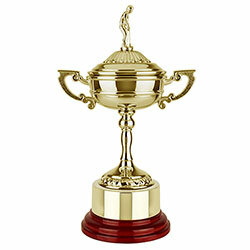 From the highest quality golfing trophies to great value nickel golf cups and glass golf awards we have a plethora of experience coupled with the largest range of golf trophies available on the planet. 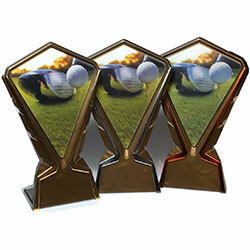 Our golf awards section contains glass golf plaques, wood golfing shields, engraved crystal drinkware, salvers and presentation clocks for off the green awards for those who make the game so special.